Empty PSoC MCU Cards enables you to solder different PSoC microcontrollers and other electronic components you need on them. Empty PSoC MCU Cards enables you to solder different PSoC microcontrollers and other electronic components you need on them. 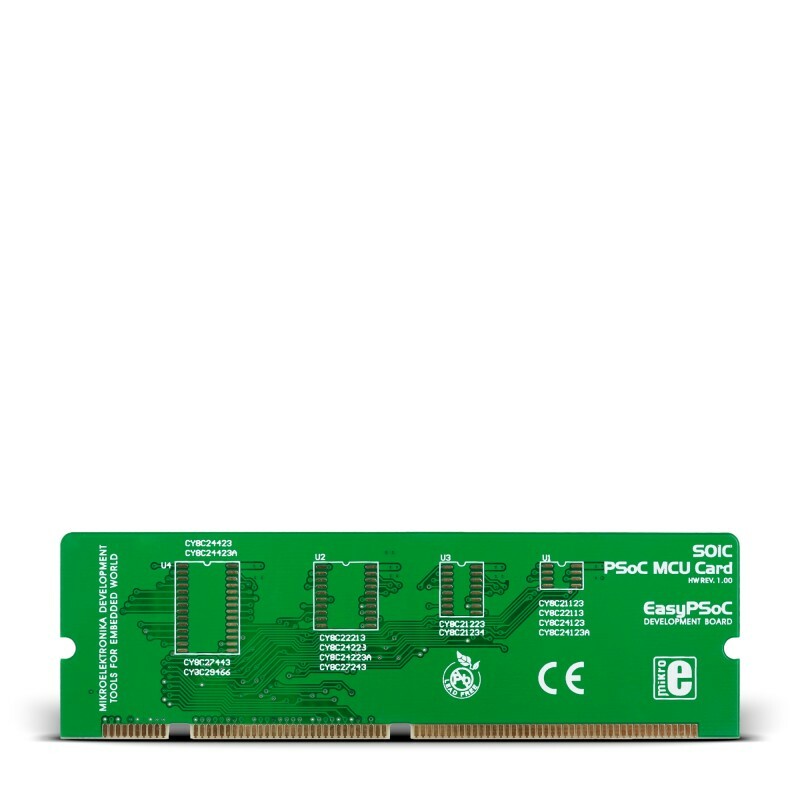 Empty PSoC MCU Cards provide easy connection to the development system through two 22-pin single in-line connectors. The bottom layer of these cards is provided with a ground plane for noise prevention.